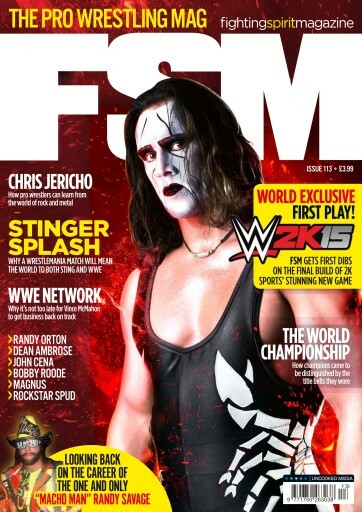 - Sting, as FSM looks at what the interest in the former WCW World champion tells us about both him and the current state of pro wrestling. - Chris Jericho, as the Fozzy lead singer and future WWE Hall of Famer explains how pro wrestlers could learn from the great front-men of rock’n’roll. - Rockstar Spud, who talks to FSM about his early career, his wrestling education in the U.S, and why he loves working for TNA. - Magnus, who, in a period of change for TNA, sits down for a conversation about his past, present and future. 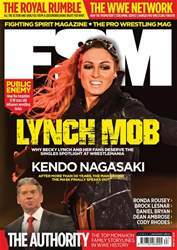 - Lucha Underground, as FSM examines AAA’s peak of 20 years ago, and ponders whether its new TV show can put the spotlight back on Mexico. 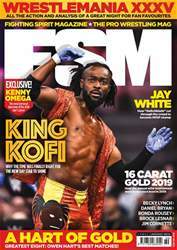 - Brian Maxine, as FSM gets the lowdown on Goldbelt’s life in pro wrestling and entertainment.